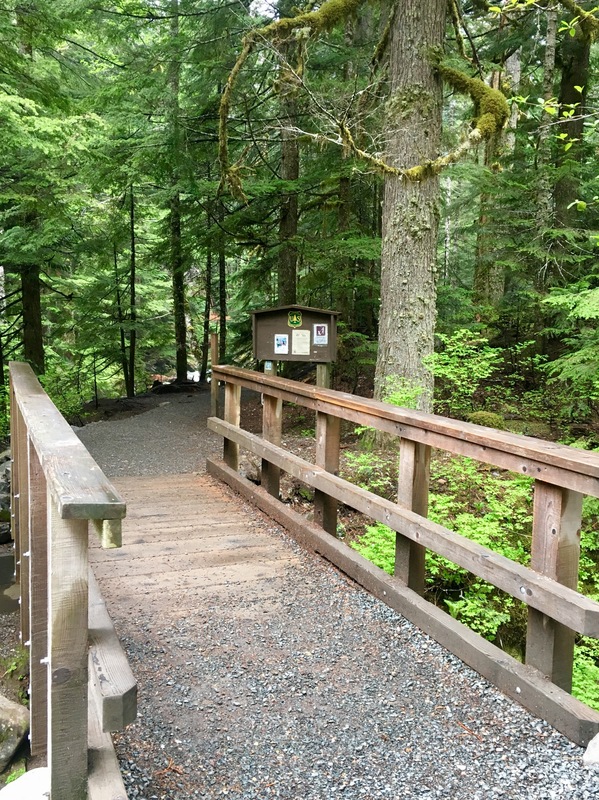 Ever been out on hiking trails in Washington and wondered who makes the steps, trims the brush, and assembles the log rails and bridges way out there? 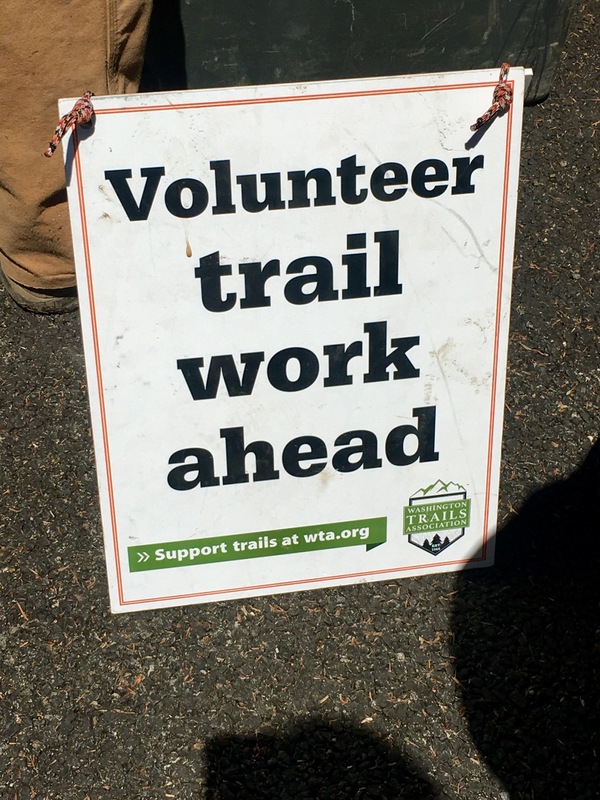 In many cases, this is done be Washington Trails Association and the Forest Service using a cadre of amazing volunteers. 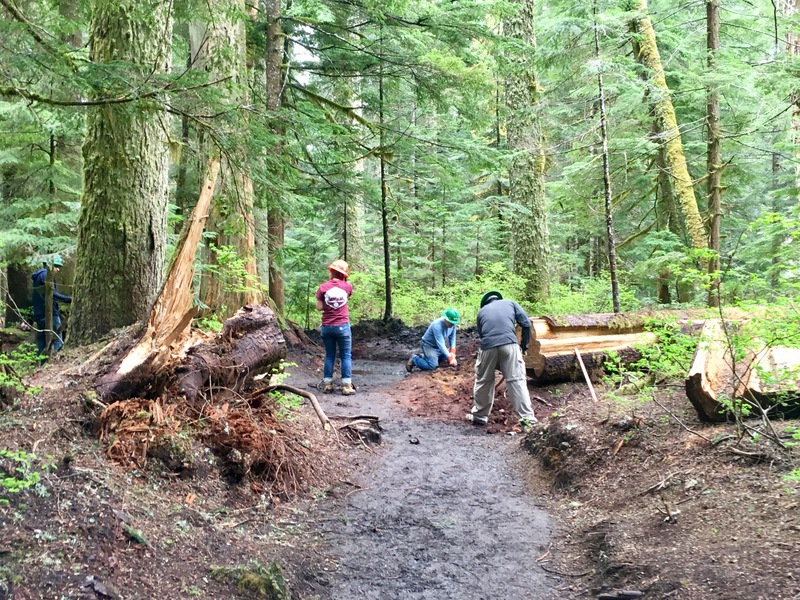 Friday’s work crew at Franklin Falls trail in Snoqualmie Pass included colleagues whose work sent them out for a paid service day, retirees with hundreds of hours of volunteer maintenance logged, and a few folks looking to get involved and give back for various reasons. 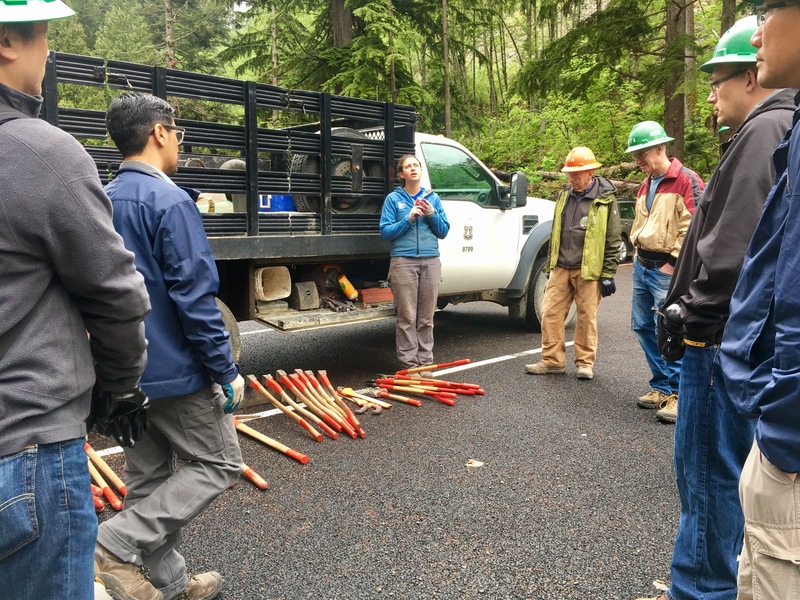 Overall, it was a lot of hard physical labor (moving logs, rocks and gravel; digging trenches; cutting back growth), great camaraderie, and a very rewarding day. 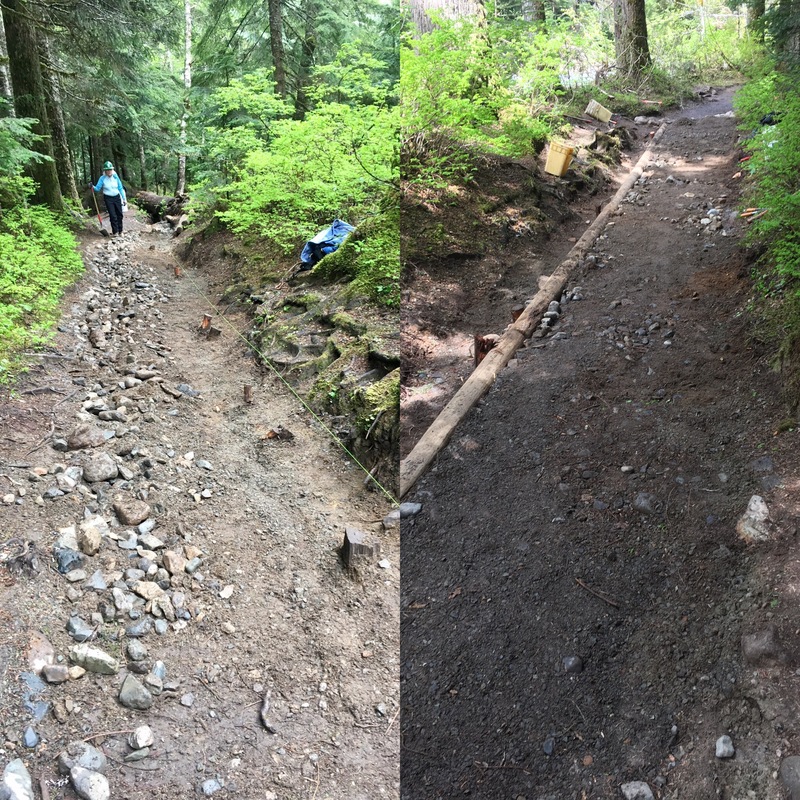 Before (first hour of work) and after. 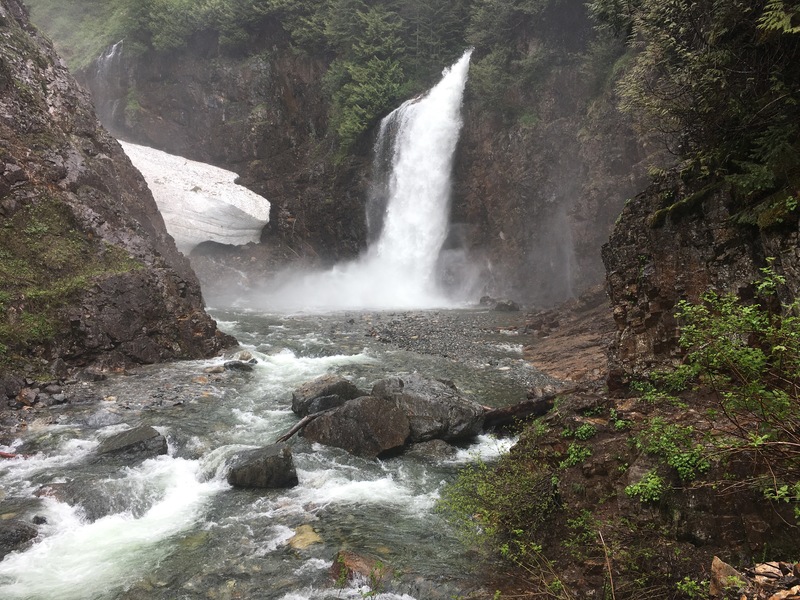 And bonus… finally got to see the infamous Franklin Falls on the lunch break!